The clock is count­ing down to DC Comics’ big reboot, and it’s still got me think­ing back on the orig­i­nals. I thought I should get at least one more post in here, before it hap­pens. Super­man was look­ing a lit­tle lone­ly. Like I said in my pre­vi­ous post, I’ve always had an attrac­tion to the ear­ly gold­en age ver­sions of some of these char­ac­ters, despite the occa­sion­al rugged­ness in exe­cu­tion. There was a pri­mal kind of ener­gy there that per­haps got lost a lit­tle bit along the way, as the artists and writ­ers got bet­ter at their craft, and began to for­mu­late the rules for how you were sup­posed to do this sort of thing. Last time, I copped to hav­ing an affec­tion for the gold­en age Super­man. But if pushed, I’d have to admit that I prob­a­bly liked the gold­en age Bat­man just a lit­tle bit more. Those ear­ly strips just dripped with mood: dark shad­ows, misty nights with almost always an enor­mous full moon, and plen­ty of strange char­ac­ters for the Bat­man to go up against. When I first began to encounter this stuff in those DC 100-Page Super-Spec­tac­u­lars as a kid, I had no prob­lem at all under­stand­ing why kids encoun­ter­ing these sto­ries for the first time on news­stands back in the gold­en age were attract­ed to it. This stuff cap­tured your imag­i­na­tion. In the same vein as the Super­man poster, here’s one fea­tur­ing Bat­man in that ear­ly 20th Cen­tu­ry Poster Style. This time out, I did my ver­sion of a clas­sic pose that Kane used a num­ber of times in those ear­ly issues. A very big “Thank You” to Bill Fin­ger, Bob Kane, Jer­ry Robin­son, George Rous­sos, and all the rest of Kane’s “ghosts” over the years who made Bat­man what he was! 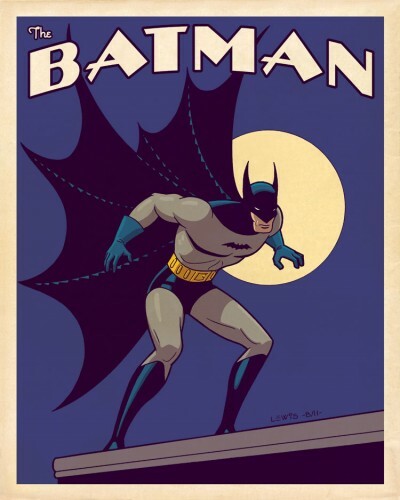 This entry was posted in Comics, Illustration and tagged Batman, DC Comics, Golden Age, Poster, retro. Bookmark the permalink. The Dark Knight.….as he should be! Thanks! As we were not­ing the oth­er day, Bat­man is one of the few char­ac­ters who seems to be able to weath­er a wide vari­ety of inter­pre­ta­tions fair­ly well. But I think a pret­ty good case can be made that the ear­ly ver­sion is one of the best. Are you sell­ing copies of your Bat­Man poster? It is fan­tas­tic! Glad you like it! 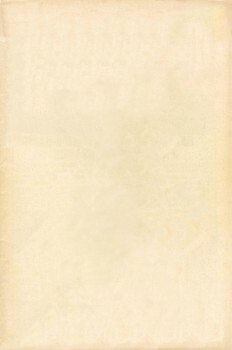 You know, I’m not sell­ing any posters at this time, but per­haps I should look into what that would entail. That’s one image that seems to get a pret­ty high num­ber of hits here.